Did you serve in a combat zone? Are you registered with the VA for health care services? If no, have you applied for services with the VA? Have you attended a Stand Down before? 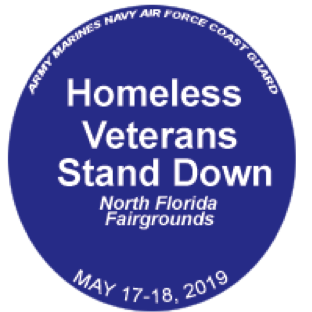 Which days of the Stand Down do you plan to attend? Will you be bringing a spouse or guest to the Stand Down? Will you be bringing a pet to the Stand Down? NOTE: Veterinary care (cats and dogs only) will be available on Saturday, May 18 and is limited to two pets per Veteran. Where are you currently staying? How long have you lived in Leon County? Do you have a Florida Driver License? Do you have a Florida ID card (looks similar to license)? If yes, what is the ID card number? Is your Florida driver license currently valid? You can check your Florida driver license status by clicking here. Do you need help getting a driver license? By submitting this registration, I do hereby hold harmless and release from responsibility the Tallahassee Veterans Legal Collaborative (TVLC), the United States Department of Veterans Affairs (VA), and all support and service providers for any and all injury I may suffer as a result of my attendance at the North Florida Veterans Stand Down. I acknowledge that all information collected on this form is confidential and will be used only for the purposes of the Stand Down or to assist me with a need I identified herein or will identify. Click the red bar below to submit your completed registration by email. If you provided an email address above, you will receive a confirmation of your registration.